I have another box to share with you this week! 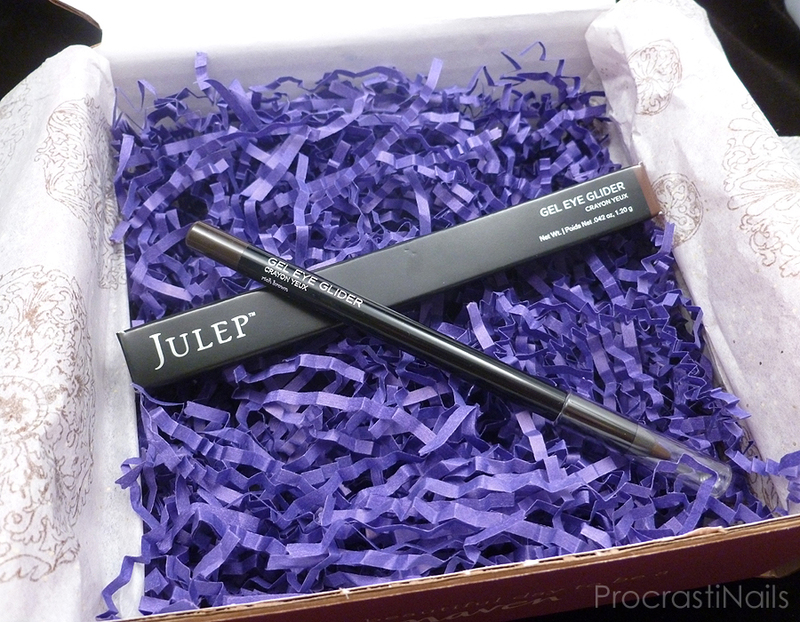 Today: My August 2014 Julep Box! Technically I called this the Boho Glam box because I ended up with two out of the three Boho Glam products, but if you got a Julep box this month you know as well as I that the full Boho Glam boxes sold out in the first few hours (I still don't get the appeal of India!) so I put this box together in slightly more complicatedway. But we'll talk about that in a bit. Let's take a look at the goodies in this box! This month brought us The Wanderlust Collection! The colours were all very rich and exciting and I think they played off the theme of wandering to far off places really well... If only I had an interest in adventure to do things like that! Guess my adventures will stick to trying new nail polish brands. "I do believe it's time for another adventure..."
An adventure, ehhhh? Maybe it's time for me to wet my feet in some indie brands...? That would be plenty adventurous for me! COLORFORYOU for a free polish with your next order of $15+, two uses per customer, valid until Sept 30/14. GLIDERPERK for 30% off on any gel eye glider, one purchase per customer, valid until Aug 31/14. Julep's been dropping the ball lately on their free/bonus gifts... Not that we can really complain seeing as they're extras, but candy just isn't exciting me anymore. 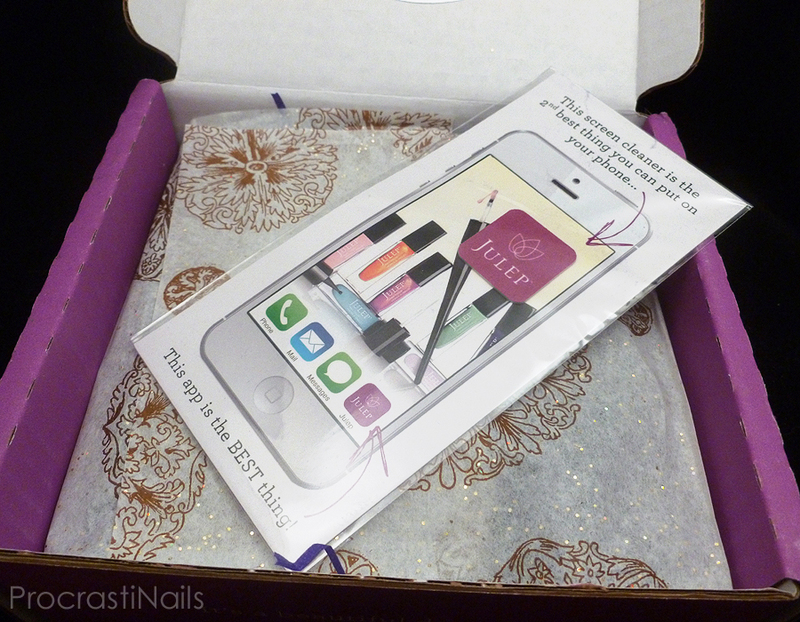 This month we got something interesting - it's a reusable screen cleaner for your phone! I think part of why I'm so excited about this is because it's something new, not necessarily because it's vital to my phone or Julep experience. Basically Julep added this because they want you to download their app (which is only available for iPhones, boourns) so you can do your monthly selections and shop from your phone. If you download and log in now, they'll also give you some free Jules! 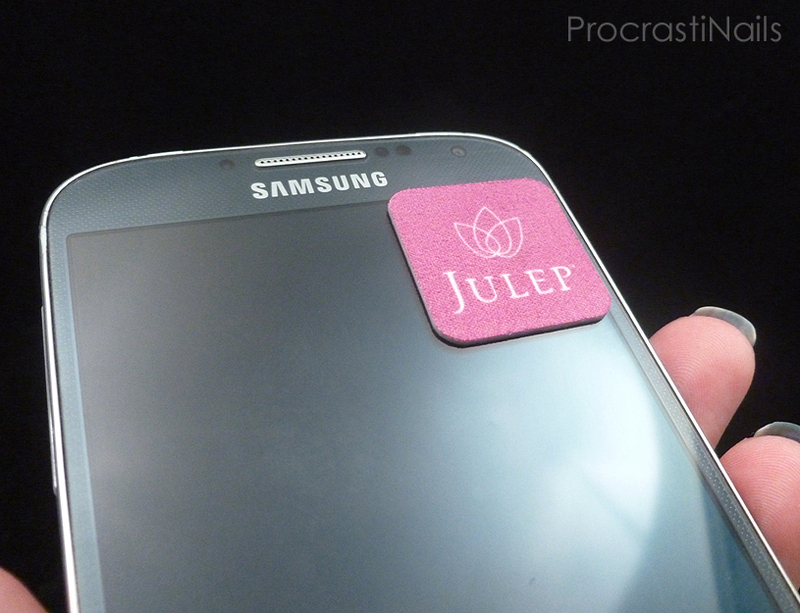 On top of that they want to help you keep your screen smudge-free with their cute little patch. The instructions for this little patch say that you're supposed to stick it to your phone (as shown above, though in reality I have it stuck to the back - it sticks really well!) and then when you see a smudge on your phone you take it off and give it a quick wipe with the top side which is a soft sponge-y material. Then you can re-stick it! And it's like The Sticky Roller (shhhhticky!) in that if it stop sticking you just washing it off, let it dry, and it's ready to stick again! Fun! I live in gel eyeliner, so when I saw the beauty product was a gel eyeliner stick I knew I needed to have it. I went with the dark brown because my current main shades are black and grey and I wanted a change. I haven't worn this on my eyes yet but I did try it on my hand and I love it. It goes on smoothly and with awesome pigment, and it didn't even smudge when I repeatedly rubbed at it with a moderate/firm pressure. As you can see Rich Brown is a rich, earthy brown shade, dark enough to leave no doubt about the colour. I was also pleased to see the size of this product since Julep likes to make their things tiny sometimes... I was happy to see this is a full size. I'm really really excited to try this one on my eyes, and I'll let you know all about it on twitter after I've worn it a full day. And now, on to the polish! 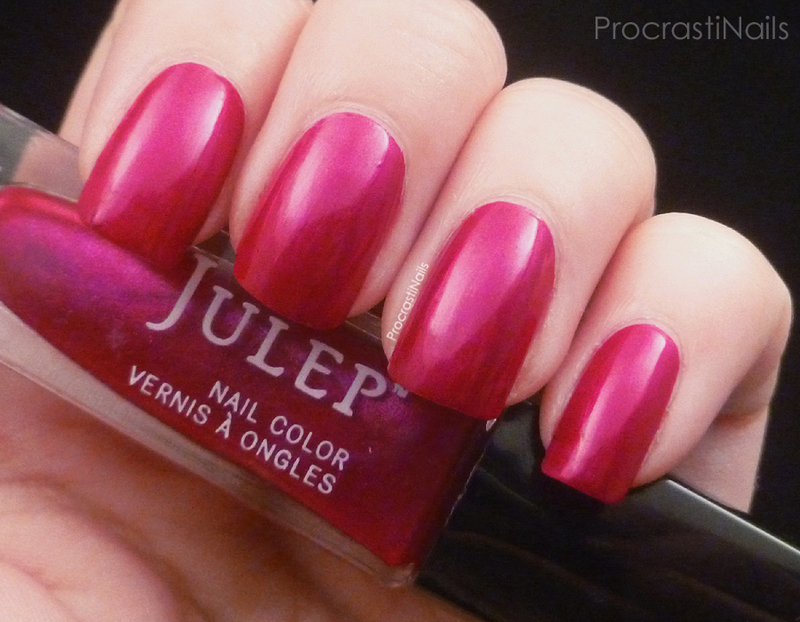 Julep Neha is a gorgeous shimmer with a hint of multichrome in the right light - there's some deep purple and suggestions of cherry red hidden in there! This is a bold and bright shade that I kind of wish I had had earlier in the summer... It's a bit too bright for me to wear in the fall, I think. It went on smoothly and was opaque in three coats. So first things first - I have never heard of this name. I did a quick google search and all I could find was that it's female name (duh) and the only meaning I could find was that it means "ebullition" - a sudden outburst of emotion or violence. It's also a place in Georgia. Huh. Alright. 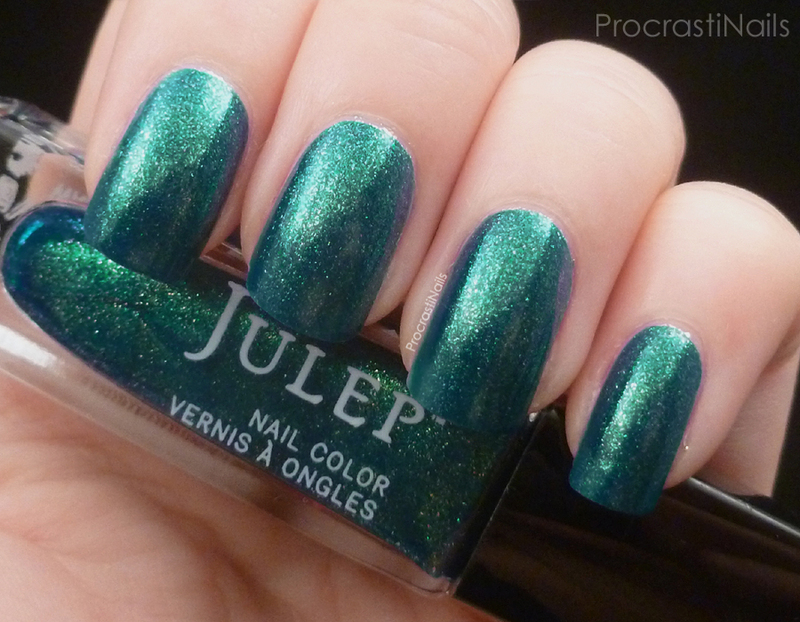 Good... job... with the naming, Julep? Anyway, aside from the random name I love this polish!!! 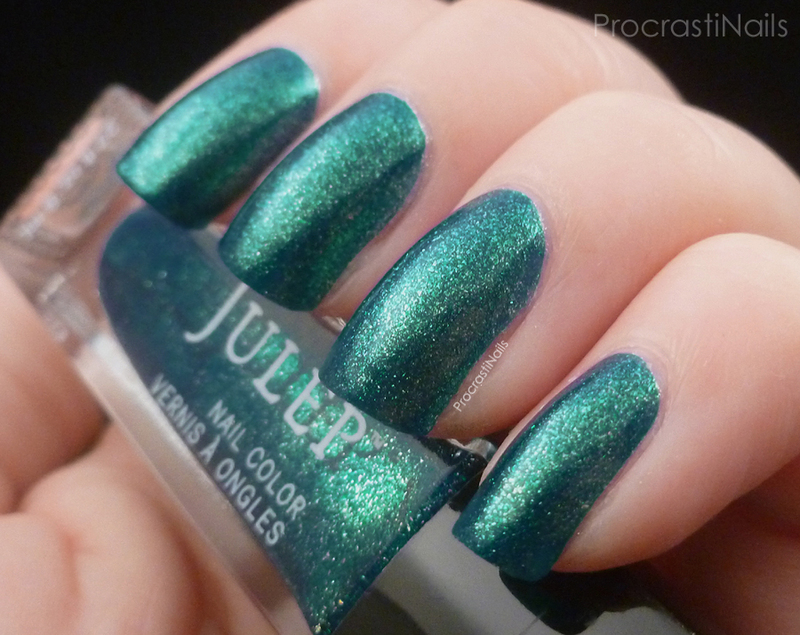 Julep Waleska was the very first one in this collection that drew my eye, and I knew instantly that I needed to have it. Application was smooth and it was opaque in two coats. 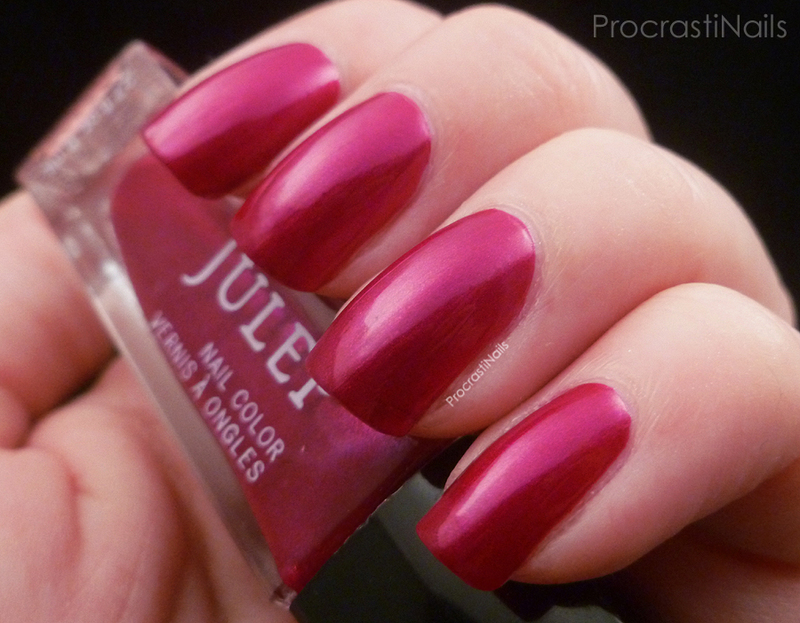 Me and Julep often disagree on polish finishes. I say there is no way this is a chrome. That aside this is a stunning deep green polish with flecks of gold throughout. In the right light there is also a hint of blue! There's just so much interest and depth to this colour! I still have it on my nails now, and I can't stop staring at it! Ah! Let me know what you think about the box this month! Thanks for visiting!! Looks like a very nice box. Love the Waleska color a lot. Waleska is gorgeous! That eyeliner looks super nice too! It is nice you finally got the box you wanted! :) Waleska is a lovely color! 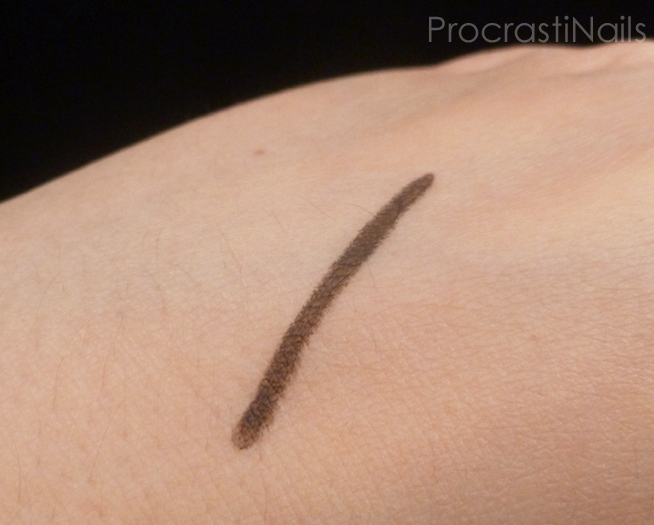 The brown eyeliner looks really nice, I live in brown eyeliner! Waleska is my favorite of the two polishes, very pretty! Waleska is just an amazing colour <3 Perfectly mermaid-y! I was also really frustrated that I could not upgrade this month. Julep has been all kinds of fail lately in terms of inventory and shipping. Yeah, I was about done with them after the last shipping change... I'm so happy that was fixed for this month. But did you hear about how a bunch of people were told a day or two ago that they wouldn't be receiving a box? And they were getting a refund and a box of "fan favourites" instead in apology? I'm guessing they over-estimated their inventory. If that had happened to me I would probably be out. What a great and detailed post! I keep skipping on my Julep boxes because I am so uninspired by the swatches they have, if they had bloggers swatch ahead of time, I wouldn't have skipped these. What stunning colors! That screen cleaner is hilarious. Not nail related, but I am sure they know how addicted we are to our phones. Thank you! Yeah, I agree I wish that they had realistic swatches. Sometimes they're so far off it seems like a different polish completely. I generally just look at the preview picture of the polishes in their bottles and take my chances! Thankfully I haven't been disappointed in a while. :) And yeah - I laughed when I realized what the screen cleaner was. So random, but I'm down for it! Haha. Waleska totally reminded me of Zoya Charla! I'm doing the 31 Day Challenge 2014!